Old map by H.(van) Swanevelt (1600-1655). -Mercury guarding the horses of Apollo. Title: Mercury guarding the horses of Apollo. Size: 7.7 x 10.3 inches. Condition: On paper, very good condition, sharp impression, wide margins. 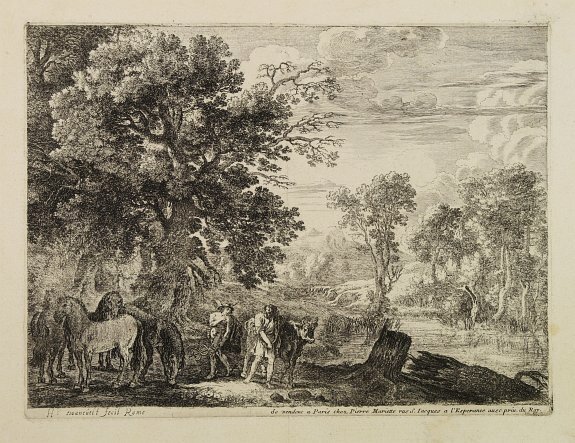 Etching of a wooded landscape with Mercury guarding the horses of Apollo. 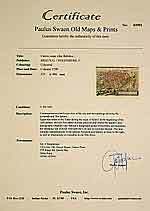 Signed in the plate "H:Swanevelt fecit Rome", edited and sold by Pierre Mariette in Paris, with the kings' privilege.